Maple Leaf Lawn Care and Landscaping is an experienced Landscaping company offering Hardscape design and installation of patios, outdoor fireplaces, fire pits, retaining walls, walkways, driveways, topsoil. and mulch serving the North Atlanta communities of Alpharetta, Canton, Cartersville, Chamblee, Douglasville, Holly Springs, Kennesaw, Marietta, Roswell, Sandy Springs, and Smyrna Georgia. 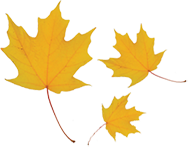 Maple Leaf Lawn Care and Landscaping provides quality Hardscapes products, topsoil, and mulch to homes and businesses in Marietta GA area and North Atlanta. Our lawn service specialists have more than 18 years of experience in the lawn care industry, and our lawn service programs are specifically designed for the Atlanta region. It is own goal to really know our customers and create a relationship built on trust and communication. Let Maple Leaf Lawn Care and Landscaping show you what true lawn service is all about. When you’re looking to expand or create your landscaping, let Maple Leaf Lawn Care and Landscaping be your number one choice. Our talented design and installation team will work with you to create a landscape custom to your landscape. Nothing is too good for our valued customers, which is why we offer the very best materials to give you the landscape of your dreams. For premier Marietta GA landscaping, call Maple Leaf Lawn Care and Landscaping today! Your outdoor living space can become a comfortable and fashionable extension of your home. Maple Leaf Lawn Care and Landscaping offers stylish patios, fire pits and complete outdoor kitchens to enhance the aesthetic value of your property. Let our landscaping specialists help you design an outdoor living area that will give you your own private paradise. 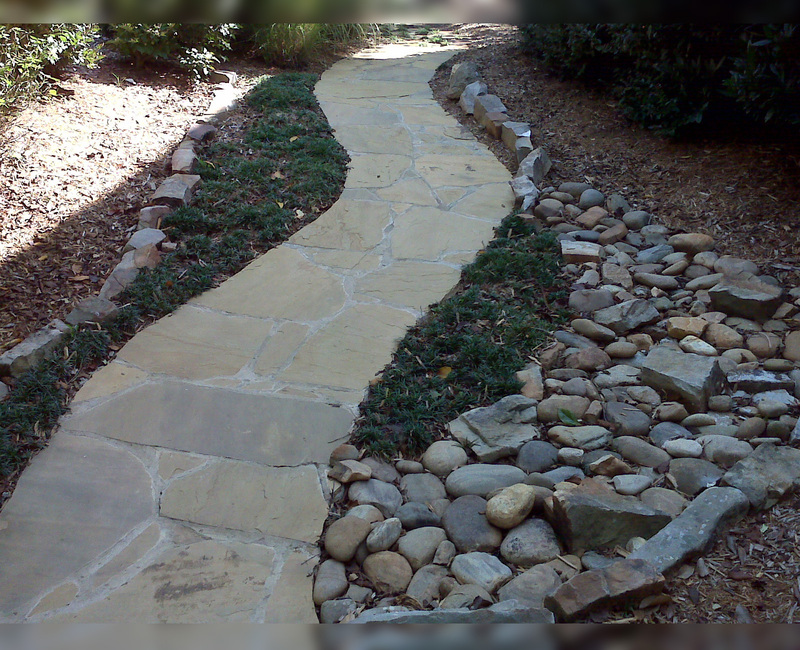 As landscaping Marietta GA professionals, we offer a wide array of materials from which to choose when it comes to creating the perfect Hardscape. Maple Leaf Lawn Care and Landscaping offers beautiful flagstone pavers that will give your landscape an appearance of opulence without burdening your wallet. Cozy evenings spent with your family in front of the fire can become a nightly occurrence with the help of our Marietta based landscaping specialists. We design and install outdoor fireplaces and fire pits to give you and your family a reason to turn off the TV and spend some quality time underneath the stars. Quality topsoil will enhance your landscape beyond imagination. Our landscapers use the highest-quality topsoil that is filled with just the right blend of nutrients to give your landscape plants a solid foundation for optimal growth. Mulch offers so many benefits that we recommend all of our landscaping clients add it to their property. In addition to adding texture and color to your landscape, mulch provides a much-needed barrier between the hot sun and the roots of all your landscape plants that require as much moisture as possible. Mulch also locks the moisture in the ground, and prevents soil erosion. Let our landscaping pros at Maple Leaf Lawn Care and Landscaping show you how quality mulch can spice up your landscape! Our landscaping architects can create grading plans to stop water from pooling on your lawn or to give your landscape a bit of character with engineered sloping. Whatever your grading needs, our landscaping architects can make it happen. 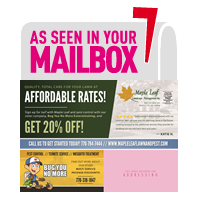 Call at Maple Leaf Lawn Care and Landscaping today for a FREE consultation!